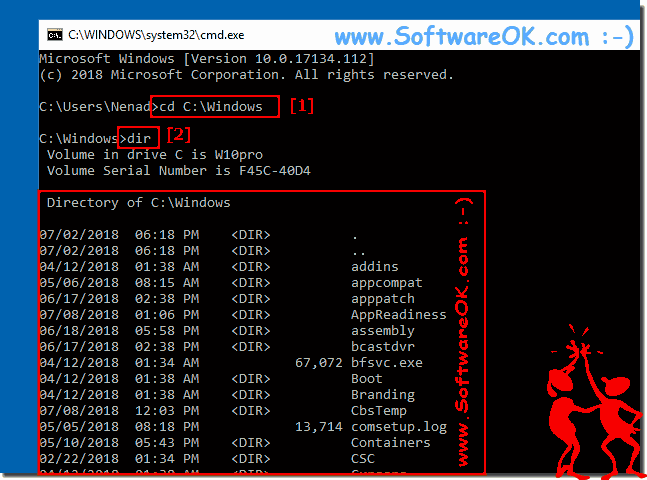 Cmd.exe is the command line interpreter or command line interpreter for the Windows operating systems! It is still part of the new Microsoft operating systems, even in Windows 10. It is still used on computers including Windows 8, Windows Server 2012, and 2016 for backward compatibility. However, as the new main command interpreter in these systems, the new Windows PowerShell is used instead of the cmd.exe. 1.) ... Here is a simple use of cmd.exe! 2.) ... Who needs the windows command line? 3.) ... The advantages of using the cmd.exe! 1.) Here is a simple use of cmd.exe! The whole example is under the new Windows 10, but the commands are available in earlier versions of Windows, so you can test it on Windows 8.1 and 7 too! (Image-1) Simple usage of the cmd.exe! and now just as an example list the directory of windows with the command dir. Well, that was a simple example, just to see how it works. List of commands can you see here ► cmd.exe Commands! 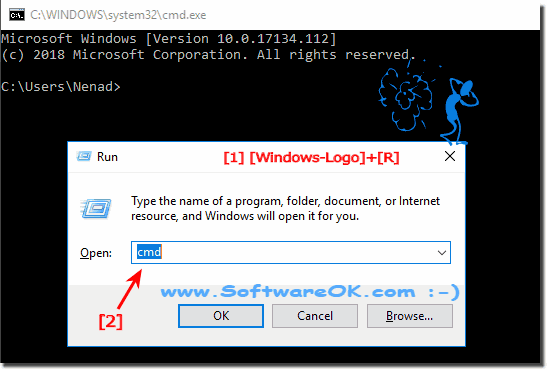 (Image-2) cmd.exe command easy example! It is in contrast to command.com a full-fledged program and cmd.exe is an application that serves as an interpreter, as well as the cmd.exe is no longer such an important part of the operating system, and does not have the function and the ability for example, in Windows 98, Command.com may load the configuration from the operating system when Windows starts, or other settings. 2.) Who needs the windows command line? The Windows command line, though popular with administrators and experienced PC users, is not as well known to ordinary PC owners, although it does save a few simple steps. The purpose of this short explanation is to also familiarize people with the benefits that do not know cmd.exe and know nothing about its use. The Windows operating system is better known for its graphical user-friendly interface, and many Windows users have never heard of these useful command-line features. If the cmd.exe is missing, you should not just download it somewhere, it is one of the system files and will be replaced or deleted on deletion, or in case of a defect by the operating system itself. See: ► Using the System File Checker on Windows! 3.) The advantages of using the cmd.exe! The cmd.exe is a program that provides direct communication between the user and the operating system. Used to create and edit scripts or batch files for various purposes. Here is an example WiFi password from the WLAN network . Using the command allows you to automate this operation rather quickly without a mouse. This is much faster than clicking through the control panel. Especially since you can quickly create a Windows desktop shortcut to the admin command line. Glossar - FAQ-44: What is a cmd.exe? The solution is very easy to find on any Windows documents, or to open the default folder Content: 1. Windows documents folder open all OS 2.